Here at Edge we believe that in-house training is essential. Therefore all of our staff go through rigorous training to ensure that they can respond to our customers needs sympathetically and professionally. Our on-site training room and harbour facilities bring equal quantities of theory and practical experience. This provides us all with invaluable and immediate knowledge of new legislation and equipment. 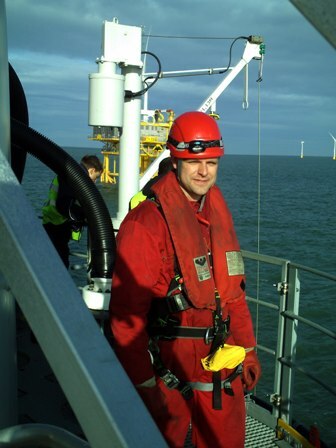 Many UK harbour personnel have benefited from our maritime oil spill response courses. Should an oil spill occur at sea or in harbour they are fully qualified to play an integral part of the clean up operation. This we know brings peace of mind and confidence in their ability to operate at a professional level. The training courses are run to fulfill the requirements regulated by the IMO OPRC90 convention, accredited by The Nautical Institute on behalf of the MCA, which has been ratified by the British Government. Knowing what would happen in an oil spill and how to use the necessary equipment could save miles of beach contamination. Our coastline and coastal wildlife has suffered much destruction in the past due to human error and ignorance. Our aim is to ensure that that kind of disaster does not re-occur.